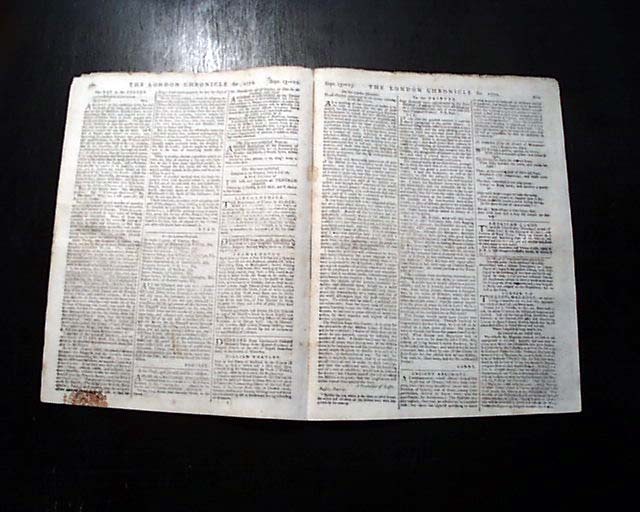 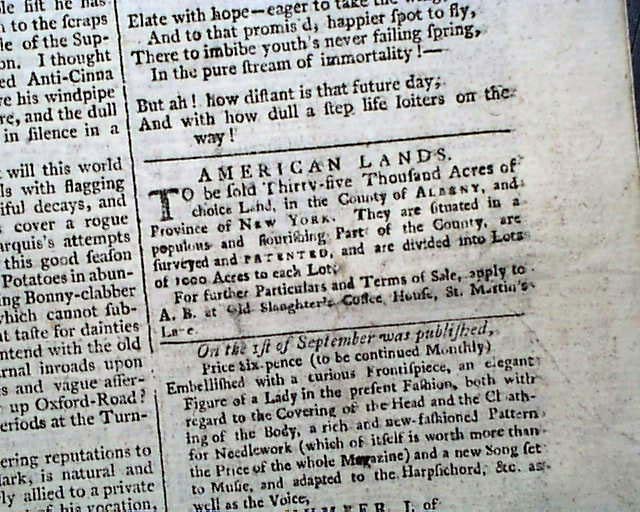 The more famous newspapers of this period from shortly before the outbreak of the Revolutionary War--and from the year of the Boston Massacre--with an inside page containing the ad as seen in the photo below, headed: "AMERICAN LANDS to be sold..."in Albany County, New York, with other details noted. 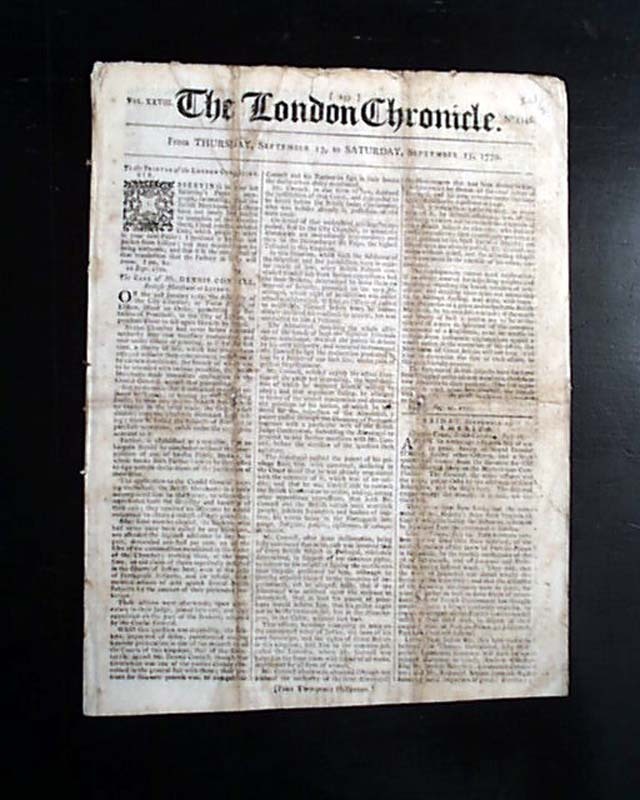 Other news reports and advertisements of the day as well. 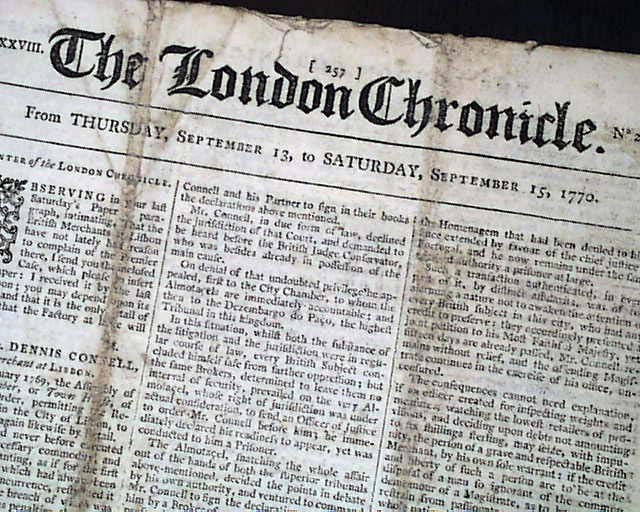 Eight pages, some rubbing and a little wear at the folds on the front page, otherwise generally good.